Arcata Elementary Preschool is located at 2400 Baldwin St., Arcata, CA 95521 We share the address with the elementary school (which makes GPS navigation confusing). 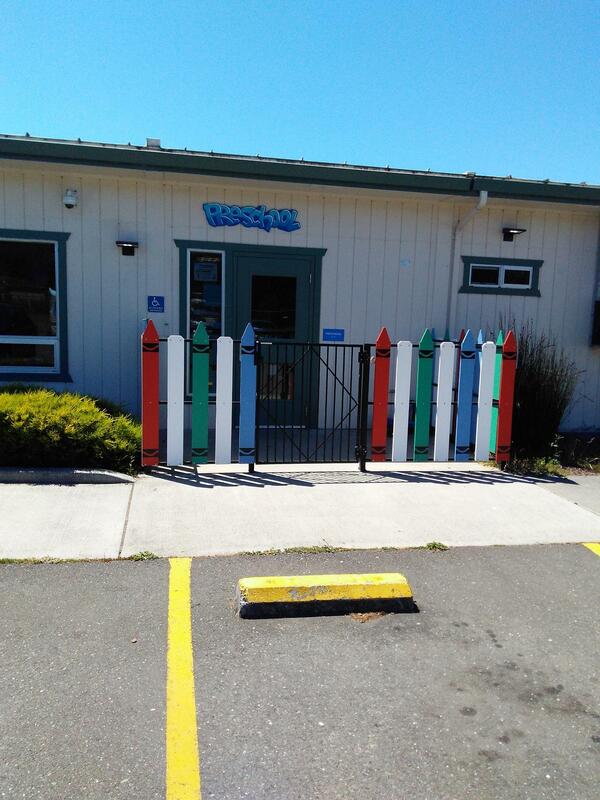 Our preschool is on the front/ south corner of the Arcata Elementary School campus. The easiest way to get to the preschool classroom it to take SUNSET AVE. to ROSS ST. This street dead ends into a small parking lot. We are the classroom in the cute crayon gate. *** FYI: If you park in the Baldwin St parking lot you will need to walk aroundthe play yard to get to the front door. The elementary school locks its gates while in secession. We have a large open classroom and our own fenced play yard with green space.